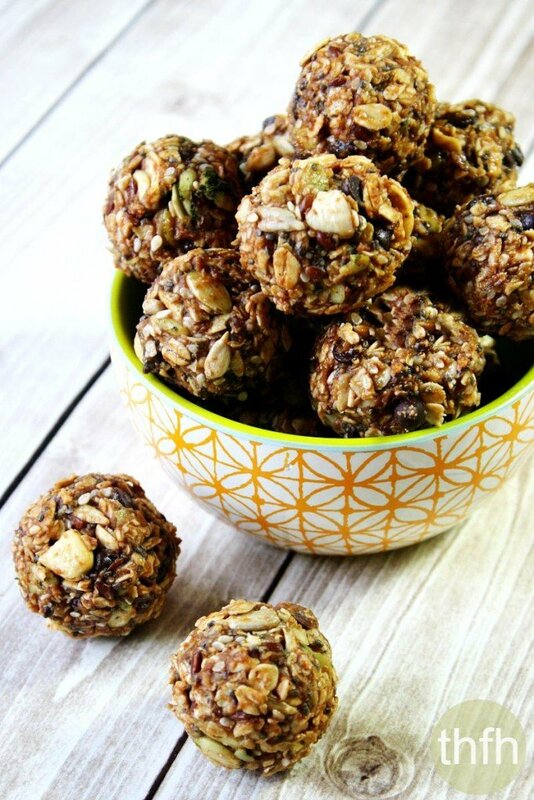 If you are looking for a nutrient-dense snack that will give you energy as well as keep you satisfied, these Nuttzo Chocolate Nut and Seed Balls are perfect! They contain almost every healthy nut and seed known to man and making them is as easy as putting all the ingredients in a bowl and stirring it up. And don’t worry if you don’t have every single ingredient in the recipe…just use whatever nuts and seeds you have on hand. Instead of making my own nut butter for this recipe, I decided to use the Nuttzo Choco Spread, which is an organic nut butter loaded with peanuts, almonds, hazelnuts, cashews, brazil nuts, flax seeds, sunflower seeds and 70% dark chocolate. One of the good things about the spread is it contains 650 mg of ALA Omega-3 per serving. Plus, you have all the healthy fats and nutrients from the added nuts and seeds in the recipe too! So this is an easy recipe that’s fun to make with your little ones and can be kept in the refrigerator for whenever you need a quick bite of energy. And they’re organic, vegan, gluten-free, dairy-free, no-bake and contain no refined sugar! Want more healthy truffle and ball recipes? 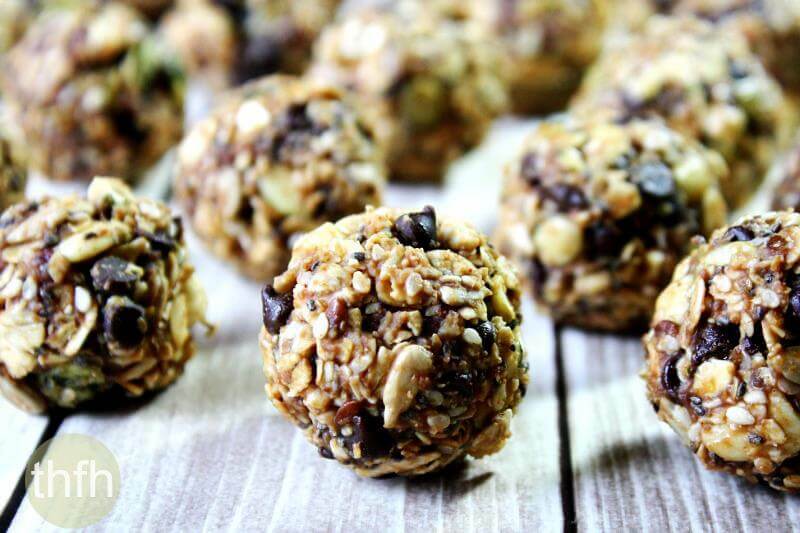 Check out Chocolate Chip and Cranberry Cookie Dough Balls, Vanilla Bean Peanut Butter Protein Balls, Crispy Cashew Butter Energy Balls or my Clean Eating Cookbook with an entire chapter of 20 healthy, clean eating truffle and ball recipes just like this one that you will love! Step 1 Put all ingredients in a large mixing bowl. Gently stir until well combined and all ingredients are evenly distributed. Scoop out by the spoonful and roll in the palm of your hands to make a ball shape. Put in the refrigerator for 15 - 30 minutes to firm them up and store in the refrigerator until ready to serve. This recipe will make approximately (30) balls. The recipe and photographs for "Nuttzo Chocolate Nut and Seed Balls" by Karielyn Tillman of The Healthy Family and Home are licensed under a Creative Commons Attribution Non-Commercial 4.0 International License and cannot be used without my written permission.